Have a disability? See the medical requirements. Are you injured or disabled? Does your disability keep you from holding a job? In order to receive Social Security Disability benefits, you must meet certain medical requirements. And they can be fairly strict. But even if you have a disability, it can be difficult to prove it to the government. 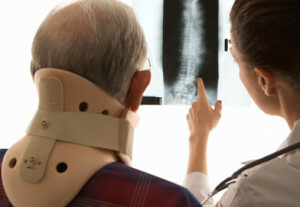 An experienced attorney at Smith Godios Sorensen Inc. in Akron, Ohio, can make sure the Social Security Administration understands that your disability meets their medical requirements. Click here or call 877-230-5500 for a free consultation. You don’t pay if you don’t get benefits. First, find out if you have a recognized disability. The medical requirements for disability at Step 3 are listed on the Social Security Administration’s Web site. To be considered disabled, you must have an impairment that is the same as or more severe than one of the medical conditions on the Social Security “listing of impairments.” If so, you are disabled even if there is evidence suggesting that there are jobs which you can perform. The SSA provides separate listings of impairments for children, and adults. If you do not meet the Listing of Impairments, you have to prove you cannot work. Medical requirements demand that your disabling condition prevent you from working if you do not qualify automatically under the listing of impairments. It’s not enough to say that you can’t do your old job. You have to show that you can’t do any job unless you are over age 50. To demonstrate that your condition is severe enough, you need to submit medical evidence, like mental health records, pain management records, orthopedic records, hospital admission records, X-rays, MRIs or the results of other tests. If you haven’t had the necessary tests, you need to ask your doctor to schedule them. At Smith Godios Sorensen Inc., we stress the importance of working with your doctor. To prove you are disabled, you need to get testing and treatment. You may also need to adopt a healthier lifestyle. If you can’t afford a private doctor, our lawyers can refer you to any of a number of free clinics. To schedule a free consultation, call us toll free at 877-230-5500 or just contact us online.